For most this run will just be a blip in their day of paddling down from upriver sections through downriver sections. It is however a popular beginner run for area paddlers. With rapids that never are harder than class III-, this run offers a nice low stress way to cut your teeth on some whitewater. It is still fairly continuous, so make sure you can get a boat to shore before taking your newbie friend out on this river. We had 351.8 m on the gauge. This was a nice fast flow. 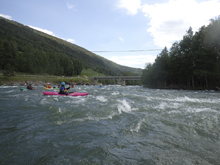 I imagine at lower flow the rapids are less continuous and becomes better for beginners. For us, the miles passed quickly which got us to the Play Run that much faster. 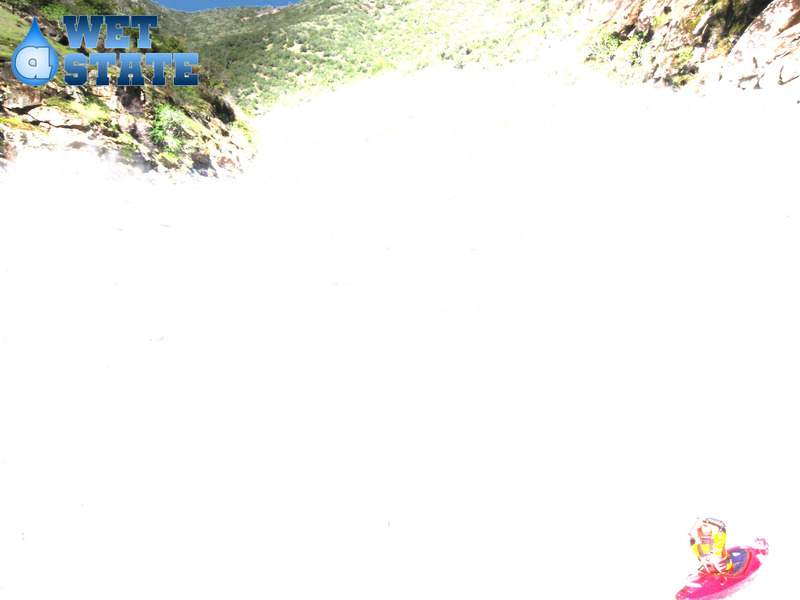 No individual rapids stood out worth mentioning… great beginner section or just paddle on through from above. Put-in Bridge (III-). Directly below put-in is a small rapid formed by the bridge pillars, there was a good surf wave in the right most channel.